Overall, THE CHEMISTRY OF DEATH is a fine thriller indeed, and a certain page-turner. It's clever, easy to read, and very enjoyable. The solution is (half, at least) a definite surprise (even though there's a touch too much madness in the conclusion. You'll know what I mean), and wraps the whole thing up nicely. And not only that, but it easily sets up the next outing for Hunter. It's one I'll certainly be looking out for. 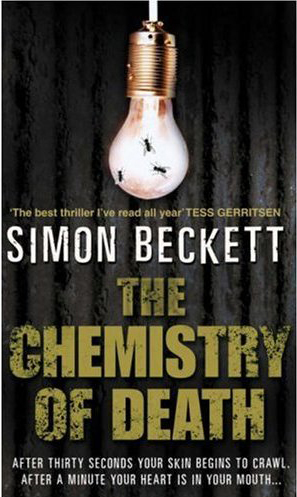 Read another review of THE CHEMISTRY OF DEATH.